However, as a society we are at a crossroads where our children have vastly more knowledge of the cyber landscape than adults. Teachers still struggle with computer basics while students are hacking the schools’ computer systems to change their grades, create DDoS attacks on the day of critical testing, and worse. If the Australian government wishes to be effecting in a public safety education campaign around the risks of cyber-attack, they must first both educate and protect themselves from such possibilities. Education must begin internally before it can be successful externally. To do otherwise will feel like whitewash and just invite new hackers to attack the government with more frequency and fervor. Ransomware is like having all your data (phone, computer, all your records, everything digital) kidnapped and held for ransom. 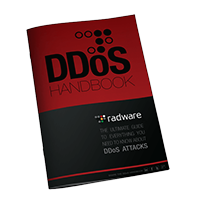 DDoS for Ransom Is when someone tells a business to ‘pay up or else’ we will take your digital presence offline. Paul has over 30 years’ experience in Business Management and Leadership roles in the IT Technology and telecoms sector working extensively in Europe, Africa and Asia. Based in Thailand, he is now responsible for leading Radware’s business in Southern APAC (Australia & New Zealand, ASEAN and India). Previous to Radware Paul was Vice President APAC Channels at Riverbed Technology and before that, VP Sales for Northern Europe and Africa. He held leadership roles at F5 and Foundry Networks (now Brocade Communications). The online Census was an unmitigated disaster. It’s clear the Australian Government is totally unequipped to protect themselves from cyber criminals.